The premise of this book drew me in right away. It is a mystery with lots of angles, twists and turns. Kate Baron is a single mother and high-powered attorney in a NYC law firm. Her 15 year old daughter, Amelia, attends a private school where she excels at her studies. When Kate is called away from work to deal with a disciplinary problem at school she is frustrated, confused and worried. What Kate discovers at school opens a devastating period in her life. The fabric of this story is woven together very well. We are given clues to help us solve the mystery but they are nicely shaded. There are side stories that pull the reader's attention in different directions. The book held my interest to the end and had a satisfying conclusion. My problem with the book is the amount and content of the language. It is staggering. There is also a large amount of sexual content. There are only a few characters in the story that I liked at all. While I liked the storyline, this did make the book a little less enjoyable for me. 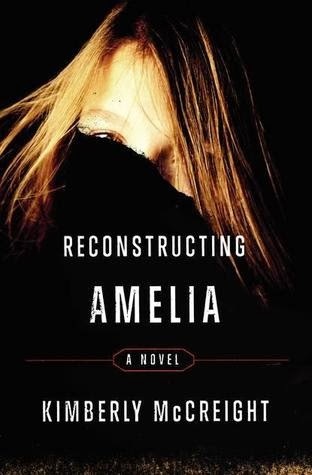 If those things don't bother you, then you'll probably really like Reconstructing Amelia. This one sounds interesting. It's too bad the language was a turn-off and the characters weren't that likable. Not connecting with characters is a total deal-breaker for me. A very good story with lots of plot twists about high school girls and bullying. You think you might know the ending, but believe me, you don't. I actually had to put the book down to go get a kleenex before I could finish it. Very well written and a definite must read!!! !